Last week we reported about some cases we found on the e-commerce website, which was appearing on the web with the name of “iPhone 5G” cases. Now we are hearing that the cases we have found on Alibaba is removed from the website. The cases gained to much attention to its manufacture, so here we have a point that the cases we’re not removed by the choice of user. If we remember, before the launch of iPad 2 we found some cases of iPad 2 on Alibaba, which reveals the many new features of iPad 2, just like thinner design and front face camera for FaceTime. After getting attention by folks, those iPad 2 cases we’re removed from the Alibaba with the help of Apple legal team. 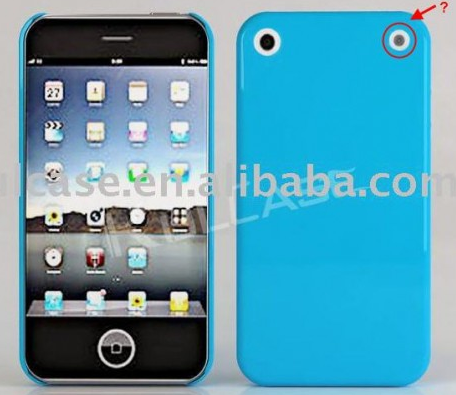 So if we match this case, we found that may be Apple is behind the removal of iPhone 5 cases from the website, because these cases also revealed the relocation of flash module in iPhone 5, which was later confirmed with the leak of iPhone 5 camera parts.